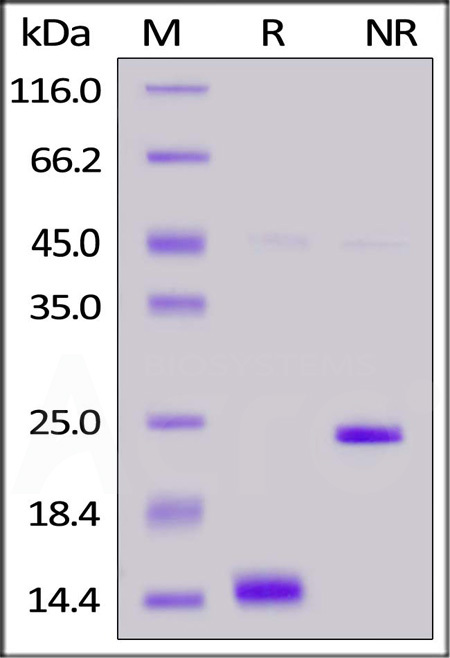 Activin and inhibin are two closely related protein complexes that have almost directly opposite biological effects. Activin enhances FSH biosynthesis and secretion, and participates in the regulation of the menstrual cycle. 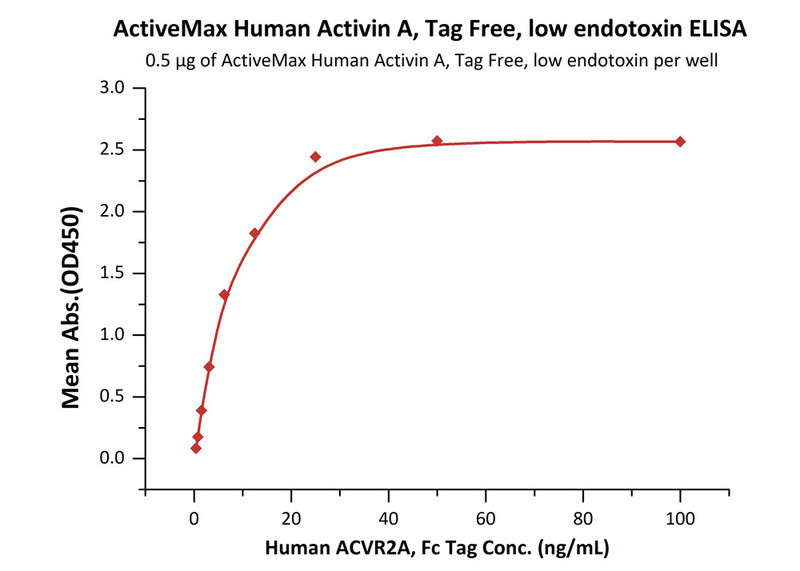 Many other functions have been found to be exerted by activin, including roles in cell proliferation, differentiation, apoptosis, metabolism, homeostasis, immune response, wound repair, and endocrine function. Conversely inhibin down regulates FSH synthesis and inhibits FSH secretion.Activins are nonglycosylated homodimers or heterodimers of various β subunits (βA, βB, βC, and βE in mammals), while Inhibins are heterodimers of a unique α subunit and one of the β subunits. 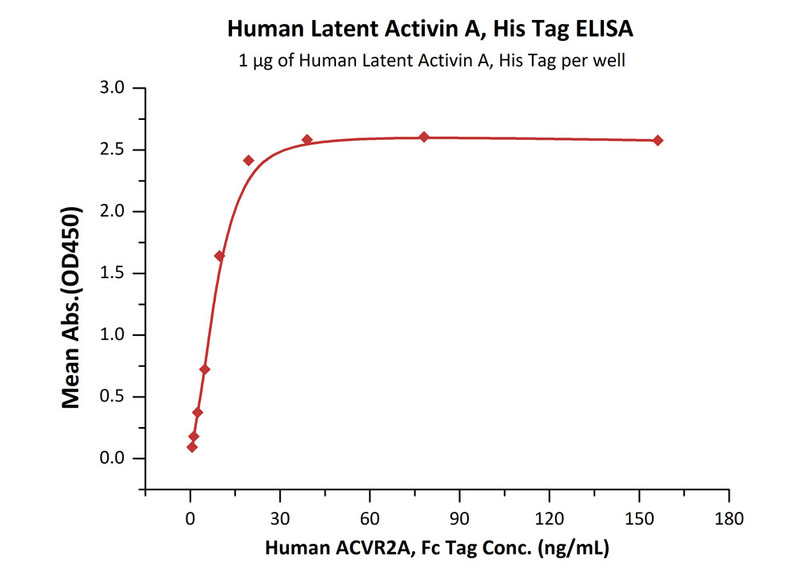 Activin A is a widely expressed homodimer of two βA chains. The βA subunit can also heterodimerize with a βB or βC subunit to form Activin AB and Activin AC, respectively. 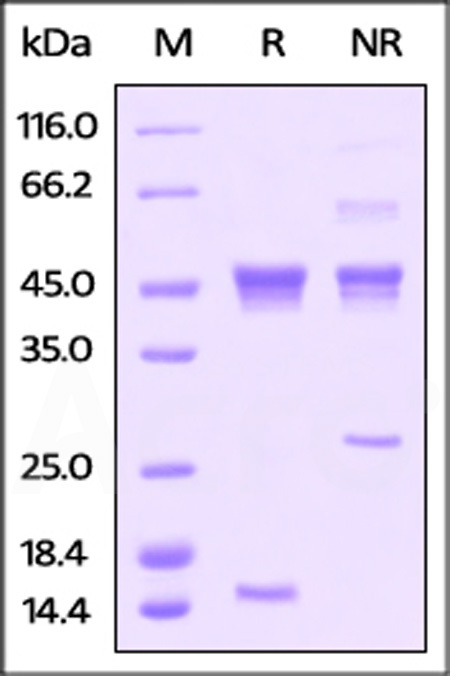 The 14 kDa mature human βA chain shares 100% amino acid sequence identity with bovine, feline, mouse, porcine, and rat βA. Chen YG., et al., 2006, Exp. Biol. Med. (Maywood) 231 (5): 534-44. Sulyok S, et al., 2004, Mol. Cell. Endocrinol. 225 (1-2): 127-32.
van Zonneveld P, et al., 2003, Hum Reprod 18 (3): 495-501. Harrison, C.A. et al., 2005, Trends Endocrinol. Metab. 16:73. Thompson, T.B. et al., 2004, Mol. Cell. Endocrinol. 225:9.